Fr. 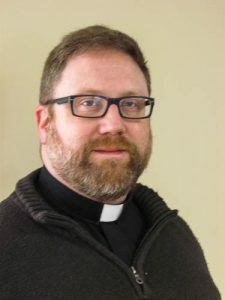 Jonathan Perrotta joined Good Shepherd in November of 2018 as Pastor. I was born and raised in Ann Arbor, which means, even though I didn’t go to the U of M for college, I am a Wolverine through and through. GO BLUE! I am the second oldest of six children of Kevin and Mary Perrotta. I have one brother, four sisters, and presently 23 nephews and nieces, and six great nephews and nieces (wow!). After graduating from Detroit Catholic Central High School, I attended Thomas Aquinas College in California, earning a degree in Liberal Arts in 1995. I returned to Saline, MI for a time, and eventually ended up working for Trader Joe’s, a grocery store company, out in Connecticut. I worked for Trader Joe’s for nine years and in four states, including stores in Farmington Hills and Northville, MI. In 2005, I experienced the Lord calling me to enter the seminary and pursue a vocation to the priesthood. I entered Sacred Heart Major Seminary in Detroit for the Diocese of Lansing in 2006 and continued to find confirmation from God that He wanted me to be a priest. 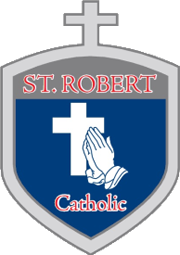 Some of you St. Robert parishioners might recall that I spent a summer with you back in 2009 as a seminarian, and in May of 2010 I was ordained a deacon at St. Robert’s. On June 11, 2011, I was ordained to the priesthood for the Diocese of Lansing. Praise God! My first assignment was as parochial vicar at Holy Family parish in Grand Blanc. In May of 2014, I was made parish administrator of Holy Family. In June of 2015, Bishop Boyea sent me to be the pastor of St. Mary parish in Durand and St. Joseph parish in Gaines. In July of 2017, we became one, merged parish: St. Mary & St. Joseph parish. I am looking forward to being your pastor, to seeing what God has in store for us, and in leading all of us to fall more deeply in love with God.